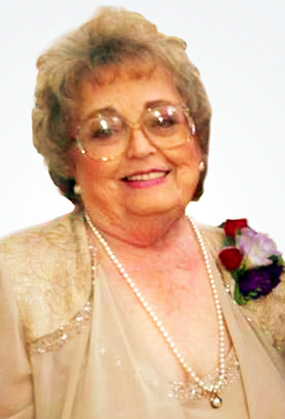 Services are scheduled for 11 a.m. Wednesday, Dec. 7, at the Artesia High School Auditorium for Marilyn Yvonne Chase of Artesia. Chase passed away Saturday, Dec. 3, 2016, in Ruidoso. Mike Elliott will officiate at the services, with interment to follow at Twin Oaks Memorial Park. Pallbearers will be George Chase Jr., Danny Chase, Mark Brewer, Ralph Doughty, Curtis Tolle and Matt Brewer. Honorary pallbearers are Rick Menart and Verble Chase. Visitation will be held until 8 p.m. Tuesday at Terpening & Son Mortuary. Marilyn was born July 9, 1935, in Headrick, Okla., the daughter of Curtis and Inez Stack. On Nov. 20, 1953, she married the love of her life, Mack Chase, in Carlsbad. The couple recently celebrated their 63rd anniversary. Marilyn will be remembered as a beloved wife, mother, grandmother, great-grandmother, and friend who could bring a smile to everyone around her. She loved spending time with her family and dear friends, travelling, western movies, scrapbooking, and going to country music concerts. She was a member of Clarke Memorial Methodist Church and a founder of the Chase Foundation. Survivors include her husband, Mack Chase, of the family home; sons Robert and wife Deb, and Richard and wife Karla, both of Artesia; daughter Gerene and husband Greg of Lubbock, Texas; grandchildren Chance and wife Claire, and their children Cash and Collins, of Roswell, Kortney of Austin, Texas, Derek of Artesia, and Jacey, Delaney and Dallas of Lubbock. She was preceded in death by her daughter, Terry Lynn; her parents; brother C.P. Stack; sister Jeannette Richardson; and brother-in-law Lewis Richardson. In lieu of flowers, the Chase Family requests memorial contributions be made to the Chase Foundation, 2103 W. Main St., Artesia, N.M., 88210.